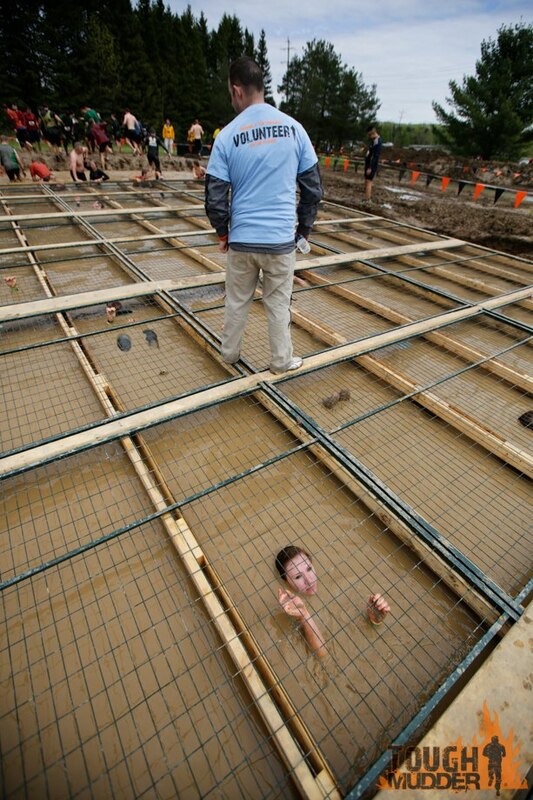 Cage Crawl is a funny obstacle for me. It is not inherently difficult by any means, but I did not really enjoy it at all. I have always had problems with my ears, and get water trapped in them all the time, so it probably isn't much of a surprise that this one bothered me. With Cage Crawl, you are to get into a pool of muddy water, lay on your back, and 'crawl' your way under a cage from one end to the other. Along the way, you pull yourself along by using the very cage that is holding you hostage. The obstacle actually works quite well since you basically float or skim across the top of the water as you try and keep your face as close to the cage as possible. That way you can, you know...breathe! When I got out of the water at the opposite end and stood up, I felt quite dizzy for a few minutes afterwards. I was still able to job, and was not tripping over myself by any means, but the dizzy sensation was definitely there. Maybe I am just a huge sissy, because my running partner, my wife, remarked at how she felt the obstacle was very relaxing...go figure!